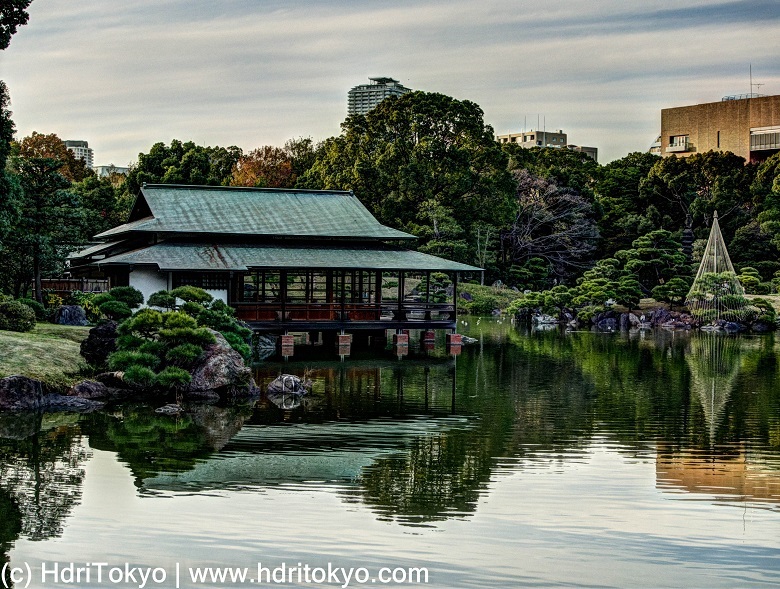 A traditional Japanese style architecture projecting into the pond located on the center of the garden. It was built in 1909 and renovated in 1985. 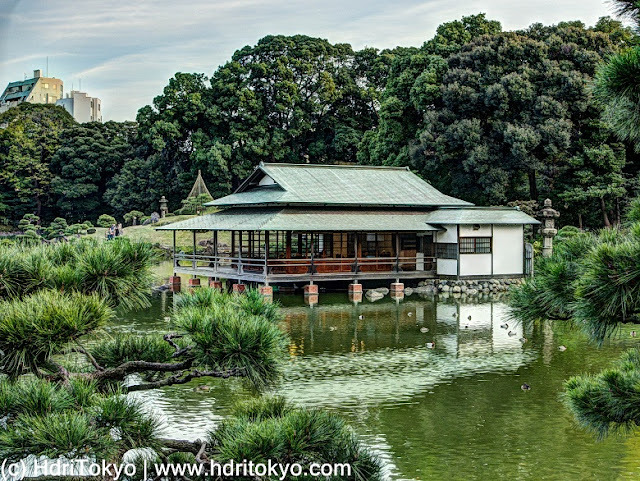 It is a symbolic architecture of the garden and used as a meeting space.